The big winners of the third round of matches were Michel Preud’homme and Hein van Haezebrouck. The latter’s team, Gent, became the first team to win a ‘Playoff 01’ match on an away ground when they went to Sclessin and easily defeated a poor Standard Liege. Preud’homme’s Club Brugge looked to be down and out against Anderlecht but the introduction of Obbi Oulare changed the game and gave the three points to the home side. Anderlecht brought back Youri Tielemans, who looked the part, and had Chancel Mbemba in his favoured position in the middle of the defence. 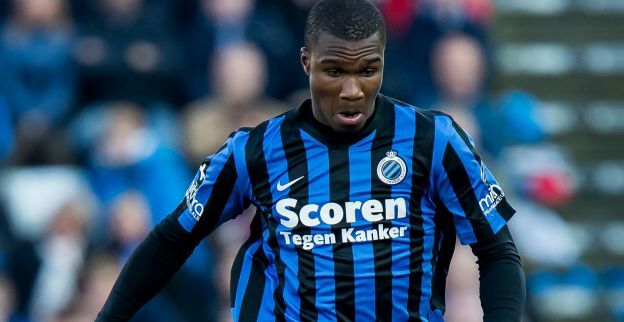 An Aleksander Mitrovic goal looked like it was enough for the three points but they reckoned without Club Brugge’s substitute Oulare. The big striker’s strength and speed were too much for Anderlecht and they were guilty of bad misses and sleeping when Oulare and Ruud Vormer scored from Victor Vazquez free-kicks. The Brussels team had good reason to be annoyed about a good goal being disallowed and a penalty not being given but the defeat could have been avoided. Van Haezebrouck’s Gent outplayed a Standard side that missed the skill and experience of Mehdi Carcela. Gent’s forgotten man, Danish striker Nicklas Pedersen, was the hero of the night with two goals in a 3-1 win. Pedersen was signed from KV Mechelen 18 months ago as a replacement for ‘Pele’ Mboyo who moved to Genk but he’s hardly featured this term under Van Haezebrouck and his selection was a surprise. Gent were top for 48 hours and it would not be a surprise to see them back in the top spot soon. In the third game, Van Haezebrouck’s replacement at Kortrijk, Yves Vanderhaeghe, looked to be on his way to three points against Charleroi but the Carolos have a fighting spirit these days and the equaliser came from substitute Kalifa Coulibaly. Next weekend, in the top two clash, Club Brugge visit Gent just three days after their Europa League Quarter Final second leg in Kiev. Going for the treble is hard work but for the game in Kiev, Preud’homme hopes to have Oscar Duarte back in defence and he’ll have a Vasquez with more minutes in his legs after his return from injury. It should be ones of the games of playoffs. Results: Standard 1, Gent 3; Club Brugge 2, Anderlecht 1; Kortrijk 1, Charleroi 1. Standings: Club Brugge 37, Gent 35, Anderlecht 32, Standard 30, Kortrijk 30, Charleroi 29. Man of the weekend: Oulare (Club Brugge). After a complicated procedure, the winner of the Playoffs 2 will play the team finishing fourth in the Playoffs 1, for a place in the Europa League. In Group A, KV Mechelen destroyed Genk 4-0 and are strong favourites after three straight wins. In Group B, Lokeren scored five at Mouscron and it’s between those two to see who tops the group. Oostende got their first points by beating Westerlo. This week, Lierse won at Cercle Brugge in the third match of the five-game series and now it’s all-square. Mitrovic (Anderlecht) 16; Emond (Beveren) 14; Santini (Kortrijk) 14 . Refaelov (Club Brugge) 11; Chevalier (Kortrijk (10); Patosi (Lokeren) 9.